If you missed it, last week on the blog I announced the 4 new 21 SECRETS editions coming out in 2019. Pretty exciting stuff. Today I want to introduce you to the secret sauce hat helps make 21 SECRETS go round-and-round-and-round! But before I do so, let me tell you a little story. In 2009, I created my very first online workshop called Art Journal Love Letters. Here’s the crazy thing — I never took an online class before and I had zero clues on what makes an online workshop an online workshop. But I fuddled my way through it all the same and Art Journal Love Letters marked the my very first online class ever! To help get the word out about Art Journal Love Letters I interviewed 30 art journaling artists for an interview series I called 30 Journals | 30 Days. Each day a new interview posted on my blog and to my great surprise this series was met with loads of excitement. My readership for my blog shot through the roof! Interestingly, during the same time collective in-person art workshops were becoming very popular. Events such as Art Unraveled in Phoenix, AZ and Teesha Moore’s Artfest were all the buzz. Though, what I also noticed is that many people were expressing how bummed they were that for whatever reason(s) they couldn’t attend those events as well. That’s when I got hit with a big idea! 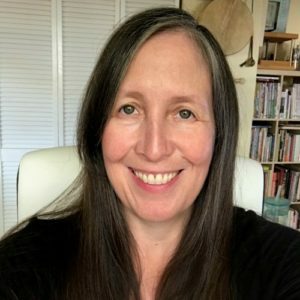 Mid-way through my interview series I wrote each of my 30 artists and asked them if they would be interested in sharing one of their art journaling secrets as part of an online workshop together. It would be kind-of like those in-person workshops — but online! Out of the thirty artists I invited, twenty of them said yes — add me to the mix and voila! 21 SECRETS was born! My very first 21 SECRETS launched in 2010 on a Ning Site and not as a downloadable eBook. It was the very first online art collective workshop of its kind and as I told my pioneering teachers — we were doing this as one great experiment! I had no idea that it would be such a hit and that almost ten years later it would still be going strong. As of today 21 SECRETS has published a total of 17 editions that has included workshops from 300+ teachers! Unlike years ago, I now need a talented support team to keep this program juicy and fresh. Now-a-days I am beyond honored and giddy that I get to work with such gems! 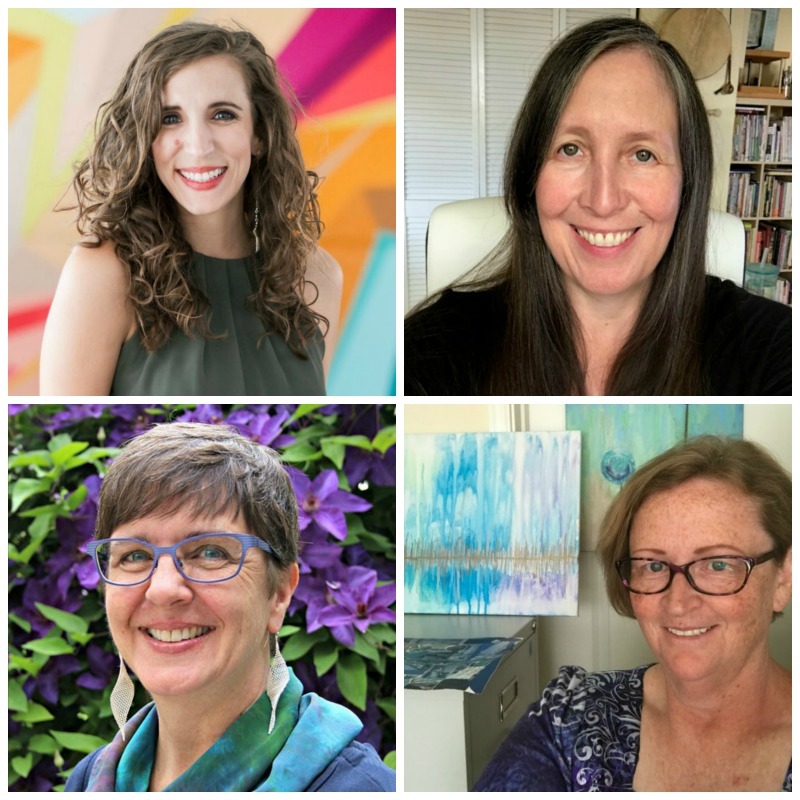 Each of the women in my 21 SECRETS team bring their own special magic to this project and together we share a great love for supporting teachers, elevating creativity, and fostering artist community. In 2011 I was in a year-long Yoga Teacher Training program in Phoenix, AZ where I had the pleasure of meeting Quinn for the first time. Shortly after graduation I hired Quinn to work on logos and graphics for Dirty Footprints Studio and in 2014 she designed the very first 21 SECRETS eBook. Since then our work relationship and friendship has grown astronomically. When it comes to design, Quinn has this uncanny ability to intuitively get where I’m coming from. Quinn is sharp, professional, dedicated, and one of the most down-to-earth creatives I know. Over the years I have learned so much from her in regards to branding, social media, and creating systems and breathing space in one’s business. Together we support one another as entrepreneurs and creatives and every time you open a 21 SECRETS it’s Quinn’s beautiful work that shines at you first. Quinn is a magician at making the invisible visible! 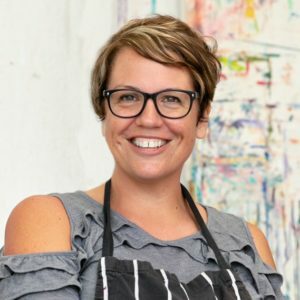 In January 2018 I hired Tonia Jenny as the 21 SECRETS Creative Director & Course Manager and it was one of the best decisions of my life. Sweet Tonia started working for 21 SECRETS around the same time I got terribly sick with the flu and pneumonia. 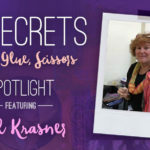 Because I was so sick, Tonia had very little training in place for her position, but still managed to launch her first edition of 21 SECRETS last Spring with complete grace and a sense of humor. I was certain after this edition she would make a run for the woods — but instead, Tonia has joyfully signed a contract to stay aboard another year as our beloved director. 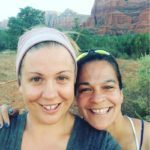 I could go on for days singing the praises of Tonia and it’s not just because she weathered bumpy terrain at the beginning of our journey, but because Tonia has brought so much to 21 SECRETS and my own life in such little time. Tonia has whisked new life into 21 SECRETS, especially in regards to supporting our teachers to shine at their brightest. Last year Tonia and I created a special promotional packet each teacher receives that provides support and inspiration in doing the one thing most artists hate: marketing. 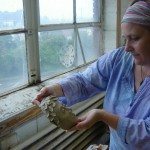 Tonia has helped scaffold a workshop outline that this year all the teachers will be implementing, so are treasured students will receive a more consistent and a higher level of instructional quality to the workshops. 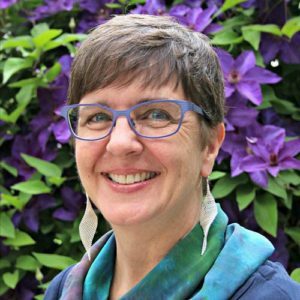 Plus Tonia, who was an editor for North Light Books for over a decade, has welcomed so many artist-authors to the 21 SECRETS collective, giving our program a whole new feel and excitement. 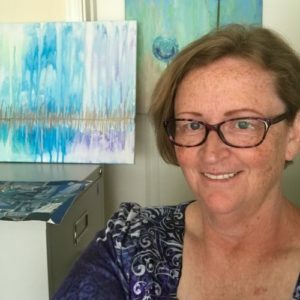 Tonia is also the interviewer of the 21 SECRETS Spotlight series that publishes every Wednesday and she shared her creative genius with us in her workshop Curious Cairns that was part of last year’s 21 SECRETS Summer Studio — it was quite a hit! I don’t know where I (or 21 SECRETS would be) if it wasn’t for my Tonia! I love her to pieces! Years ago Marcia danced her way into my life as one of my students in Painting The Feminine. The following year I had the incredible honor of being her mentor in my IGNITE program. It was in IGNITE that I learned of Marcia’s passion for nurturing creative community and her crazy love affair with Facebook — the two things that make her perfect as the 21 SECRETS Community Tender! Marcia joined the 21 SECRETS team this past November. Her job is to nurture, highlight, and provide support for our treasured students and talented teachers of 21 SECRETS. Things are just getting cooking for Marcia as she’s been busy learning the ropes and jumping in heart first. Every week in the 21 SECRETS Paper, Glue, Scissors Facebook group Marcia highlights student work, welcomes new members, and goes out of her way to make sure each person’s art work is seen and celebrated. 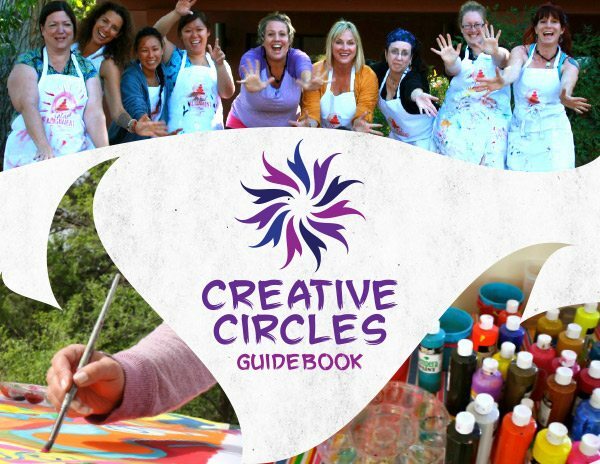 In 2019 Marcia will be expanding the 21 SECRETS love by hosting a 21 SECRETS painting challenge in both the Spring and Fall. These challenges will be much like the 21 SECRETS Embody challenge I hosted a couple years ago and they will be open to everyone, not just 21 SECRETS members. But that’s not all — Marcia has loads of other fun and fabulous ways to feed our ever-growing 21 SECRETS community. I’m so glad to have her aboard — Marcia sprinkles joy everywhere she goes! Oh! And one other very cool thing — Marcia is one of the teachers in 21 SECRETS Paper, Glue, Scissors too! Come check her out! A little over a year ago my external hard-drive that contained every single photo and video of my son Phoenix since he was born, plus literally hundreds of files of my own art work became corrupted and died. I tried everything. I went everywhere. I talked to everyone. Nothing could revive this little black box filled of treasures. Nothing. 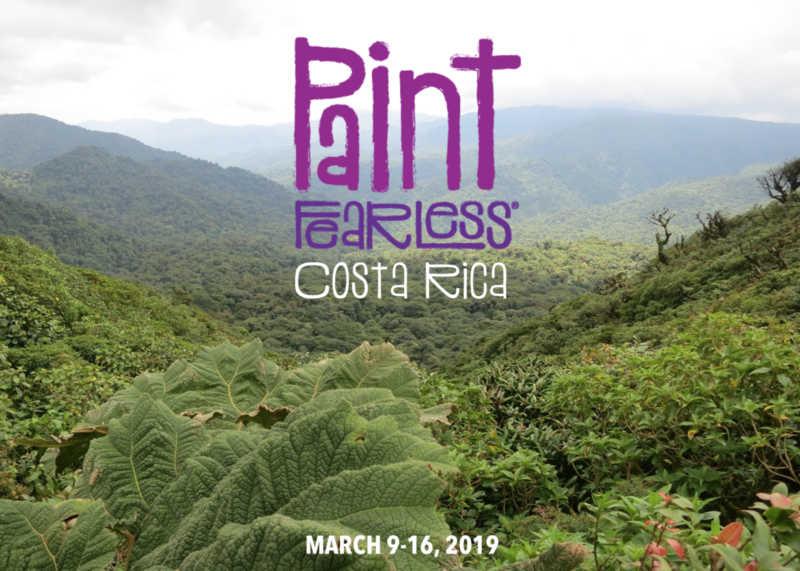 Then, one afternoon at my Paint FEARLESS Mexico retreat I was lamenting to my students about this tragedy when PJ mentioned that she might be able to resurrect it. She couldn’t make big promises, but after a long career in internet security and IT, she felt slightly optimistic. Unfortunately, I never got those baby photos and videos of Phoenix back, but I did receive the world’s greatest IT girl instead! I have known PJ for years. 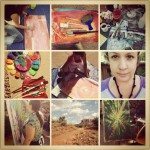 She’s taken every 21 SECRETS since it began, been with me in Painting The Feminine numerous times, painted with me in Mexico three times, and is a graduate of my IGNITE program as well. Last year, after emailing her about another tech problem I was faced with, it occurred to me that life would be much brighter if I could just hire her as my in-house tech person. 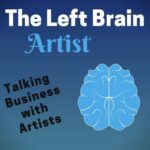 You have no idea (or maybe you do) how many tech issues come up all the time while running a virtual art studio. And the truth is, for me dealing with tech issues feel like getting my foot run-over by a semi truck. So imagine my complete glee when I asked PJ if she would join Dirty Footprints Studio as our Tech Queen and she replied with an exuberant yes! When PJ told me that this invitation felt like pure fun and joy to her, I literally felt like I won the lottery! PJ has made my life worlds better and she has helped numerous 21 SECRETS students and teachers overcome their tech hiccups with great ease and kindness. PJ is absolute gold (and there’s a good chance she might be teaching in a future 21 SECRETS as well — but lets keep that our little secret!). 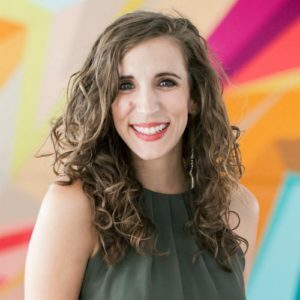 I have to admit that it feels kind of funny to write about myself as one of the team members — but I am one of the wheels that keep 21 SECRETS go round-n-round! On top of being the founder and CEO of 21 SECRETS , one of the roles that I love the most is being one of the teachers. This year I got some pretty delicious workshops lined up to share with you in each edition that are based on all the ink and sketching fun I’ve been sharing over on my Instagram feed. As always I can’t wait to be a part of the amazing teacher collective Tonia has gathered together for 2019! Please be sure to sign up for my newsletter HERE to be the first to know when registration opens and to receive some behind-the-scenes peeks at what I got in store as well. Our first 2019 edition is 21 SECRETS Face Time. Early-Bird registration runs February 27th – March 1st. I’ll see you there.